Just the other day, Apple released a free iOS 12.1 iPhone User Guide in the App Store. The guide offers directions on how to use the new features coming to the iPhone with the iOS 12.1 update. Today, Apple announced that the latest build of its mobile operating system will be available to the public starting tomorrow. The update takes place on the same day that Apple is expected to introduce two new Apple iPad Pro models, the Apple Pencil 2 and more, at its new product event. 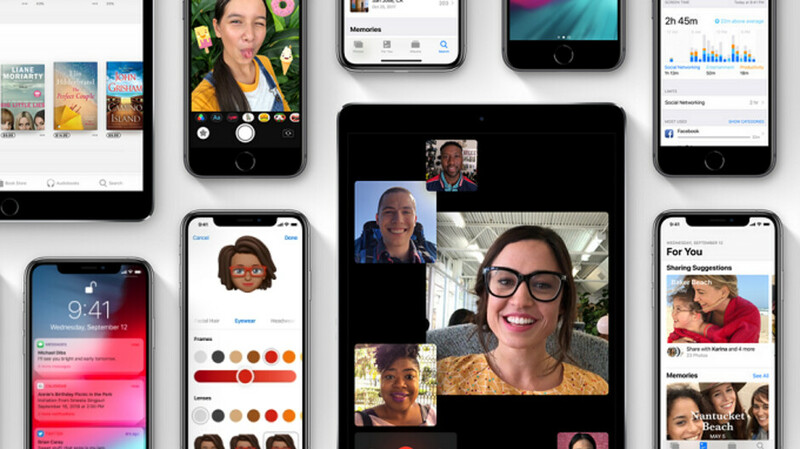 New features found on iOS 12.1 include Group FaceTime, which allows users to have a 32 way video chat. The most prominent speakers on the chat will be seen in the forefront of the screen. The size of each person's image in the chat is proportionate to the amount of participation they have in the group. Those sporting older models like the iPhone 5s, iPhone 6, iPhone 6s and iPhone SE will be able to use Group Face Time for audio calls only. More than 70 new emoji will be joining iOS with tomorrow's update. You can see many of these in the GIF embedded at the top of this article. Bokeh fanatics will be happy to know that iOS 12.1 carries a new Depth Control feature allowing users of the iPhone XS, iPhone XS Max and iPhone XR to adjust the depth-of-field in real time preview. Of course, this bokeh blur can still be adjusted after the picture is snapped. And those with one of the new 2018 iPhone models will have their handset support Dual SIM capabilities once iOS 12.1 is installed. With one physical SIM card and an embedded eSIM, users will be able to add a second line to their iPhone XS, iPhone XS Max and iPhone XR. More goodies are always welcomed, as well as a more stable OS. iOS 12 has been much more stable than iOS 11, but still has bugs, and hiccups that need to be ironed out. Overall it’s been an enjoyable experience, and hopefully iOS 12.1 adds to that. Super excited for tomorrow. Could be my first iPad in a long time. I just want them to fix the super flat colours on my portrait camera now...worst bug I’ve ever encountered with Apple.